Rapid PT Program: Should the Waist Measurement be Part of the USAF PT Test? 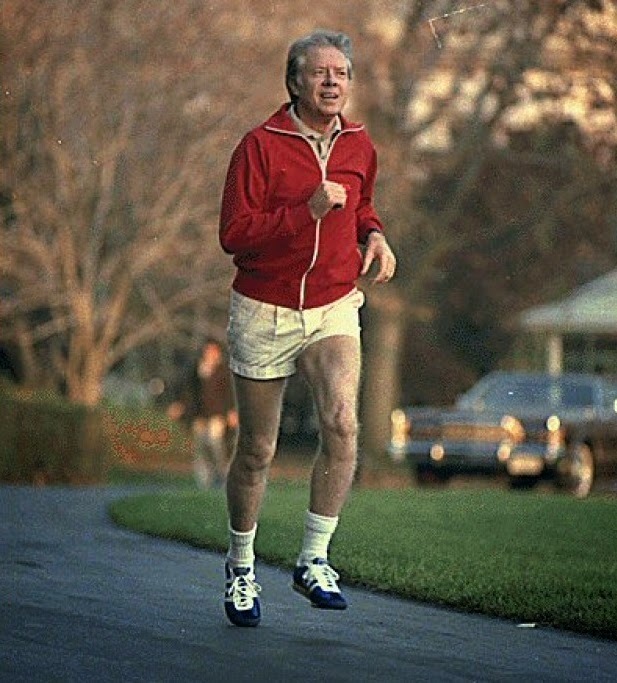 You can thank US President Jimmy Carter for today's annual PT test (as well as the waist requirement). Initially, the DoD allowed each service to identify body fatness in their own way. But, in 2002, the DoD mandated that all services use the body mass index (BMI), which uses a formula to divine a person’s general body fatness by looking at their body weight relative to their height. (4) The DoD’s new policy limited military members’ BMI to a maximum of between 25 and 27.5. Members whose BMI exceeded these maximums would be in jeopardy of separation from the military. Unlike the other services, the Air Force didn't like the BMI and successfully argued that the waist circumference was a better predictor of body fatness and poor health than BMI. (5) It then included this waist measurement in its fitness test, limiting the waist size of men to no larger than 39 inches and women to no larger than 35 inches. BMI would only be measured if a person’s waist was too big. Unfortunately, there is a big problem with using BMI or the waist measurement to determine overall body fatness: These measurements can’t identify exactly how much body fat a person actually has. As you can see, this number can only measure a person’s body weight relative to their height. At no time is fat or lean mass determined, just relative body weight. This is a big reason why BMI is such a terrible measure of body fat. Both of these people have the same BMI, but one has much more fat than the other. 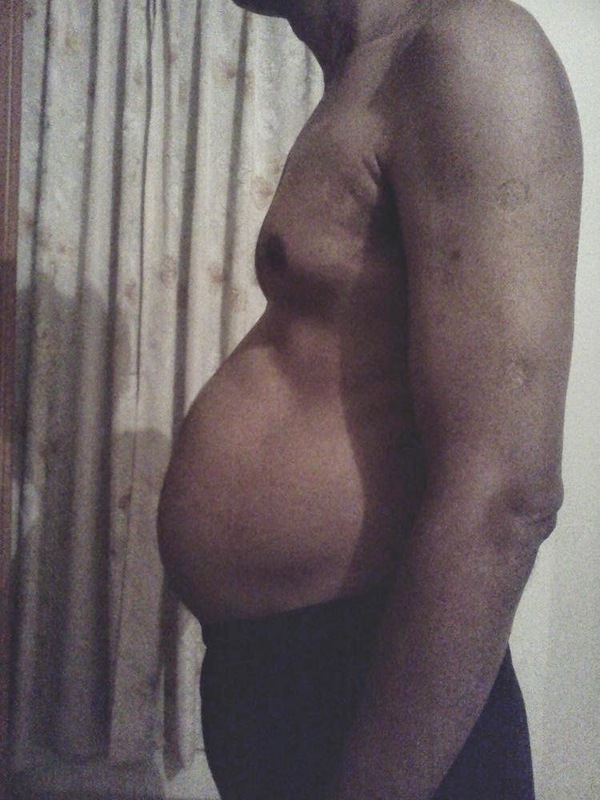 It is entirely possible for a person to have very low subcutaneous fat (the fat directly under the skin) while also having excessive visceral fat (the fat directly behind the abdominal wall). This causes a condition affectionately known as "pot belly" or "beer belly." The only way to tell if someone is too fat is to directly measure their body fat. Unfortunately, this is really hard to do (especially measuring visceral fat). Most of the current methods measure body fat indirectly using proxy measurements (e.g., hydro-static weighing, air-displacement plethysmography, bioelectrical impedance, X-RAY, skin folds), with each method exhibiting its own degree of inaccuracy. So BMI and waist size aren't the best way to measure body fatness, but what about fitness? Can either of them predict fitness performance? Not always. Again, starting with BMI, if you have a job that is very physically demanding (e.g., combat controllers, PJs), then a high BMI does not predict poor fitness, likely because most of the extra weight is lean mass, not fat mass. (9) This would also apply to military members who are heavily into strength and cardio fitness. These technically overweight individuals will likely never struggle with passing the PT test (assuming that these individuals can run well). But that's not to say that someone who has a low BMI and a thin waist is guaranteed to pass their PT test. As a PTL, I've seen many normal weight and skinny members who struggle with both the strength and aerobic components. And I've yet to come across studies that looked at how waist size correlates with poor fitness, but I've seen many blisteringly fast runners who have a noticeable belly (although not a failing waist size). But it is possible that if someone's waist gets too big (a PT-failing size) then they could have a difficult time passing their 1.5-mile run. As important as health and fitness performance are, what seems most important to the mission is how BMI and waist size affects work performance. Is there a connection? Maybe. As far as predictors of body fat, fitness, and work performance are concerned, neither BMI nor waist circumference are very useful. But what about predicting poor health? Excess uric acid in the blood. The good news is that as you improve your health, your waist size is likely to automatically decrease as well. This decrease in waist size will also likely be followed by improvements in blood sugar, pressure, cholesterol, and uric acid, as well as a much better PT test score. Should the PT Test Contain the Waist Measurement? So now that we're at the end of this post, I can answer my original question: Does the waist measurement belong on the PT test? As I understand it, the point of the PT test is to determine who is fit-to-fight. And I understand "fit" to mean physically fit and able to perform satisfactorily while in garrison and deployed. Looking at the PT test through this lens, I would agree that the strength and aerobic components will do a good job of making sure that all military members are fit enough to perform their duties. However, since the waist measurement isn't very good at predicting fitness or work performance, then it should be removed from the test. Or, if it is kept in the PT test, maybe the waist measurement could be changed to only be pass/fail. This would allow more points to be awarded to the strength components, giving them the same weight as the aerobic component. There is another option. Despite the fact that the waist measurement can't determine specific body fatness, it is still an excellent indicator of overall health. Because of that, I think that the waist measurement's proper place is in the Periodic Health Assessment (PHA). Since the PHA is done every year, doing this satisfies the DoD's requirement for "measuring" body fatness annually. More importantly, moving the waist measurement over to the PHA means that an excessive waist size can be treated as the medical problem it is (just like high blood pressure, high cholesterol, insulin resistance, etc.). Personally, I really like this third option, especially in light of the recent changes in Air Force PT policy where too many failures within a 24 month period will likely result in separation from the military. By treating a big waist as a health problem--instead of a fitness problem--the USAF keeps from unnecessarily removing too many of its expensively-trained experts (on average, the Air Force invests six months of instruction and spends almost $26,500 to train a single military member (22)). And that helps us all get the mission done. Am I off base? Let me know what you think!